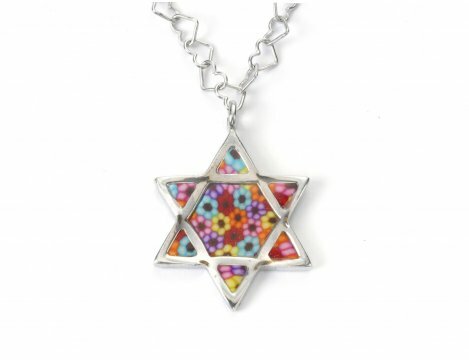 Adina Plastelina specializes in sterling silver and gold jewelry combined with polymer clay, using the ancient technique called millefiori which means a thousand flowers. 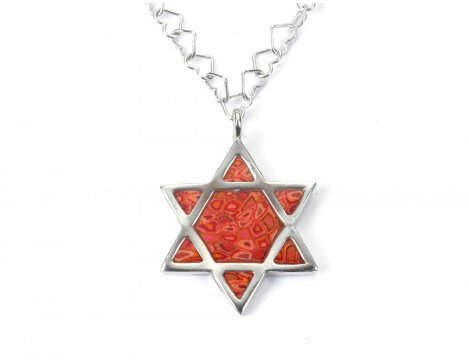 Started in 2003, Adina Plastelina has won international acclaim and is thought to be groundbreaking in the field of jewelry. 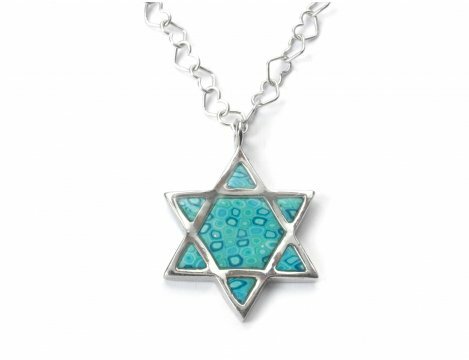 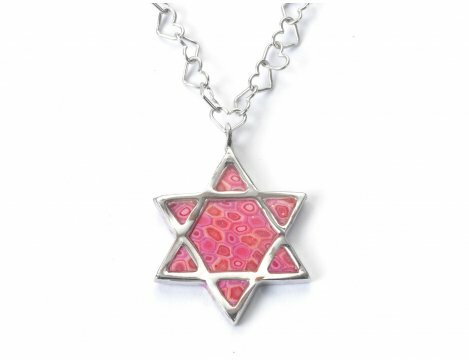 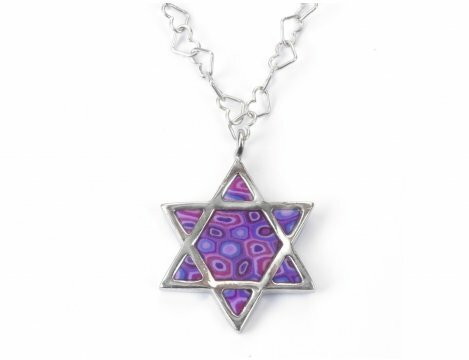 This exquisite turquoise sterling silver Star of David Necklace on a sterling silver chain will delight the eye and warm the heart. 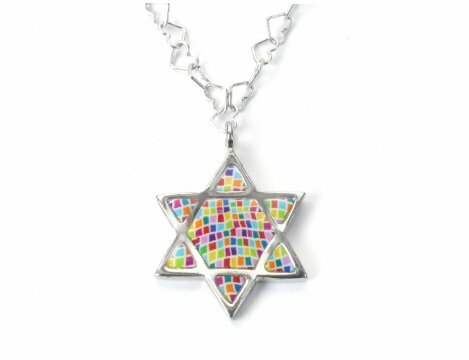 The Star of David has become a symbol of Judaism and it appears on the flag of Israel.